Some people think that having a black or platinum credit card in your wallet is the ultimate in luxury credit cards but these days luxury credit cards – those designed and offered to high earners, usually those whose income exceeds $250,000 a year – are a lot more than just a certain color. Here is a little about some of the most prestigious luxury credit cards available today. Since Coutts and Company are the bank that Queen Elizabeth II of England uses it is good bet that Her Majesty has this card, which is possibly the most prestigious credit card in the world. The credit card is (as the name suggested) offered only to Coutt’s customers worldwide and it is strictly an invitation only affair. In addition to all the luxury travel benefits and upgrades you would expect from a luxury credit card this exclusive those who love to shop get an extra perk. If a card holder feels like shopping at their favorite department store anywhere in the world one telephone call to the concierge service and a private shopping spree after the store has closed can be immediately arranged! Card members also gain special VIP access to some of the world’s most prestigious sporting events like the Wimbledon tennis championships and the Monaco Grand Prix. Another very exclusive card this “white card” does not just offer the usual airport lounge upgrades and travel miles but also offers access to a private jet to get cardholders to their destination instead. This card is offered by US Bancorp and also comes with perks like personal shoppers, special safari trips to some of the most exotic places on the planet and annual gift bags that are said to rival those given out to nominees and presenters at the Oscars! The Stratus Rewards card is offered by invitation only or an existing card member can “nominate” an acquaintance for card membership as well and there is a business card version of the Status Rewards Visa as well. When the buzz began about this invitation only American Express card for high rollers began some people were not actually sure that it existed and was just an urban myth. The world now knows that it does indeed exist and if you have an income of over $250,000 American Express may consider sending you an invite. In addition to offering all the upgrades, travel perks and concierge services that “lesser” Platinum card holders have access to Centurion card holders can book a private jet, consult with a personal shopper 24 hours a day as well as your own on call travel agent. There is of course a $5,000 “initiation” fee and a $2,500 annual membership fee so you would certainly expect to get plenty of benefits! Since the Centurion card was introduced many financial experts say that the American Express Platinum card, previously the epitome of luxury credit cards offered by AMEX has been somewhat devalued. Some of the perks – the popular free companion airline ticket for example – have been taken away but on the upside for some the card has become a little easier to obtain. Many financial analysts now feel that the JP Morgan Palladium credit card tops the American Express Centurion card in terms of both benefits and exclusivity and may be the “best” of the luxury credit cards available in the US today. To qualify a card-holder has to be a private banking client of JP Morgan’s already and the average bank balance of a JP Morgan Palladium credit card holder is said to be $30 million so that certainly takes care of the exclusivity part! If you were ever to receive the benefits booklet that comes with the JP Morgan Palladium card you would be in for a long read as it runs a rather astonishing 57 pages long. Benefits include commercial airline upgrades and unlimited use of airport lounges, a rewards program, 24 hour concierge service, access to private jets and exclusive private shopping opportunities and yet the annual membership fee is only $495. The Visa Black Card is that company’s answer to the American Express Platinum Card. Unlike many of the other luxury cards available it can be applied for, but you still need to be a high income earner to qualify. Many people say that the VISA Black card – which is issued by Barclay’s Bank – is not quite in the same league as other luxury credit cards just yet (it is still relatively new.) apart from the fact that it can be applied for the card “only” has a $495 annual membership fee and is nowhere near as “exclusive” as some of the others either, even though Barclay say that only 1% of the adult American population would be considered for acceptance and point to the fact that the credit card itself is crafted from carbon, rather than plastic as another point of exclusivity. 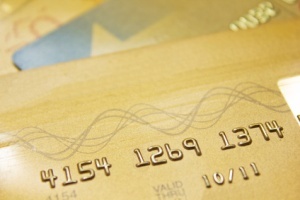 The VISA Black card does however come with many of the same perks as other luxury credit cards. It offers a miles reward program, access to a 24 concierge service, upgrades on air travel and access to airport lounges.